This action is now closed as the Home Affairs debate is currently in progress – you can watch it live here to see which MPs take a stand for human rights. Is the Queen’s Speech one of the oddest parliamentary moments of the year? Lords and Ladies in their robes, the Royal family in ceremonial dress (anyone know why the Queen wears white? Would a king also? ), Blackrod wandering around and knocking on the door that has just been slammed in his face. 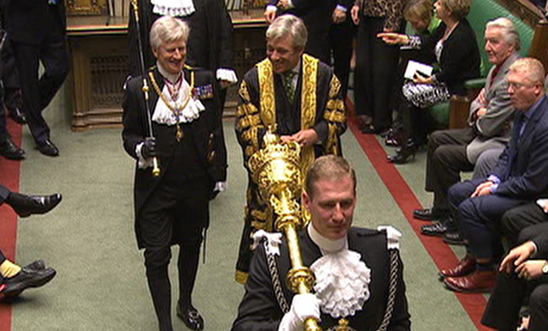 Although I didn’t realise that the Lord Chancellor carries the speech in a giant purse… you learn something new every day! Why are the government so concerned about tinkering with or even replacing large parts of our human rights protections? My rights protect me from the state, protect me from politicians and officials making bad decisions – and they protect you too. They put obligations on all parts of the state – local government, the police, the health service and more – to actively ensure that my rights are protected. If you have seen today’s papers you will know that the battle to save the Human Rights Act will be a long one, and that the negative stories and fearmongering have already started again. Don’t be fooled by it. The Human Rights Act protects all the people shown on the front page of the Sun. I don’t see why actors don’t have a valid voice in these debates. And why aren’t the voices of ordinary people who have used the Human Rights Act, like Jan, splashed across the newspapers?